Dipendra Thapaliya, MPH. Research Associate. 2012-present. Awards: 2013 College of Public Health poster session staff/fellow award winner. Jhalka Kadariya, MPH student. 2014-2016. Mark Dalman, PhD, post-doctoral fellow. 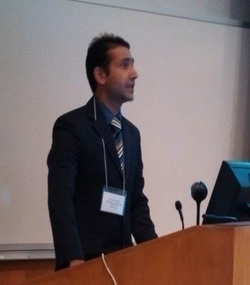 Mohammed Taha, PhD, post-doctoral fellow. 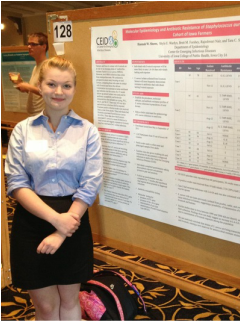 Emily Hellwig, undergraduate (Ohio State), Research Experience for Undergraduates summer student, 2014. 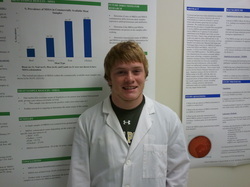 Blake Hanson, PhD student. 2009-2013. Blake also finished his MS in the lab (2010). 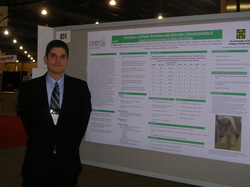 Awards: ASM student travel grant recipient; second place oral talk, 2013 Great Plains Emerging Infectious Diseases Conference; 2013 College of Public Health poster session student award winner. Shylo Wardyn, Research Associate. 2009-13. 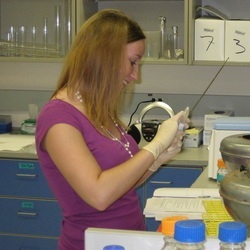 Shylo also completed her MS in the lab (2010). 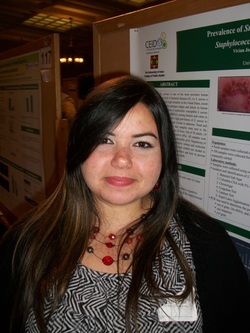 Awards: ASM student travel grant recipient. Rajeshwari Nair, PhD student. 2009-2013. 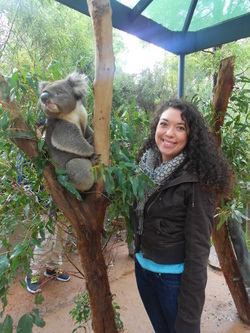 Awards: ASM student travel grant recipient. Hannah Willow-Shows, undergraduate. 2012-2013. 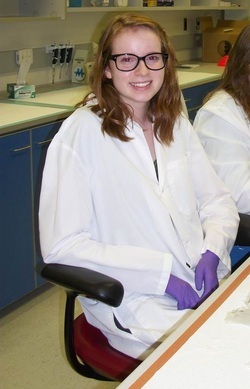 Hannah also spent summer 2011 in the lab as part of the SSTP program. Brett Forshey PhD, MS student. 2011-13. Kolie Eko, MS student. 2012-13. Awards: First place, student poster competition, 2013 Great Plains Emerging Infectious Diseases Conference. Ashley O'Brien, MS student. 2011-13. 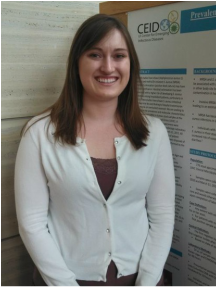 Ashley also completed an undergraduate project with the lab as a Senior undergraduate, and is continuing training in nursing. 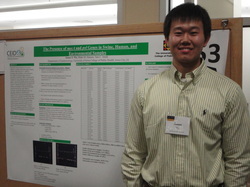 Awards: University of Iowa Fall Undergraduate Research Festival, best Natural Sciences poster. Sean O'Malley, MPH student. 2011-13. Sean is currently working at Denver Health, as part of the Respiratory Protection Effectiveness Clinical Trial (ResPECT) study. Awards: received a Stanley Graduate Fellowship to carry out research in Nigeria, summer 2012. 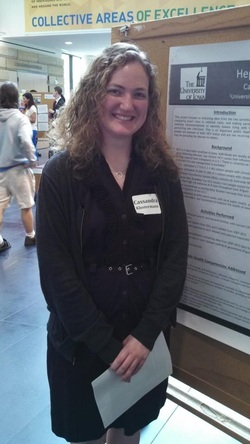 Cassie Klostermann, MPH student. 2012-13. 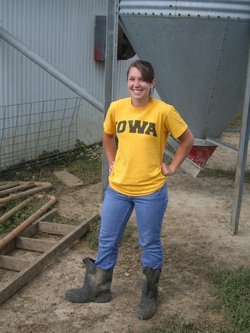 Cassie began veterinary school at Iowa State University in the Fall of 2013. James Wu, undergraduate. ICRU program. 2010-13. Yutao (Max) Su, high school student. SSTP program. Summer 2013. 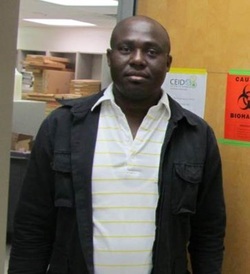 Amos Nworie, PhD student, Ebonyi State University, Nigeria. Fellow, spring/summer 2013. Tom Meirick, undergraduate. ICRU program. 2012-13. 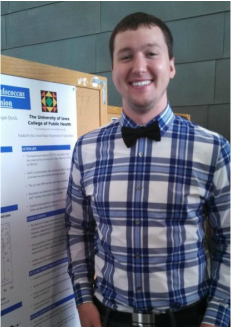 Josh Pikorna, MPH student. 2011-13. Dwight Ferguson, PhD student. 2009-12. 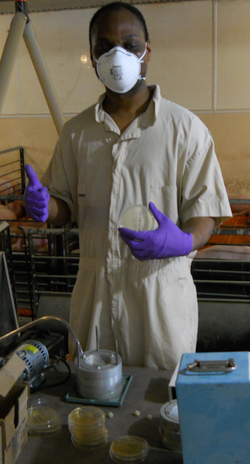 Currently Dwight serves as the Safety Manager at West Liberty Foods, Iowa. Jessica Waters, MPH student. 2012-13. Karly Newton Kondratowicz, MS student. 2011-12. 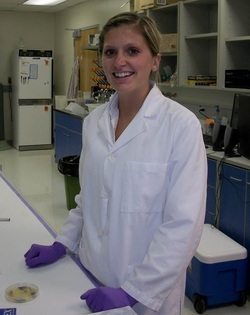 Karly serves as a research assistant at the University of California, San Francisco. 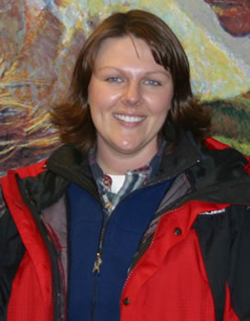 Awards: received a Stanley Graduate Fellowship to carry out research in Mongolia, summer 2011. 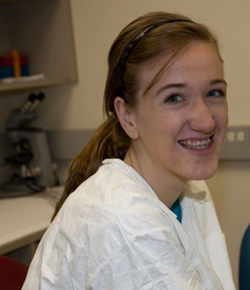 Elisabeth Dissen, MS student (George Washington), summer 2011. 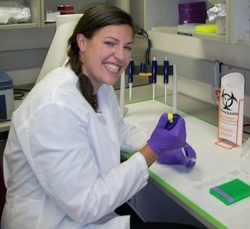 Elizabeth went on to serve as the Program Manager for the Zambia Emory HIV Research Project. Fiona Armstrong-Pavlik, high school student. Summer 2012. 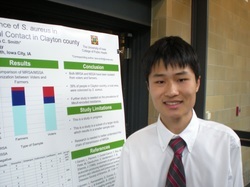 Vincent Lin, high school student (SSTP program). Summer 2012. Megan Quick, MPH. Research Associate. 2011-12. Michael Male, MS student. 2008-11. Continues as a collaborator on research projects with the Smith lab. 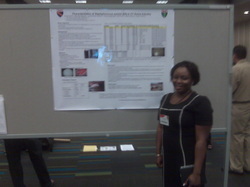 Lynda Osadebe, PhD student (Yale University). Summer 2010. Currently an Epidemic Intelligence Service officer with the Center for Disease Control and Prevention. 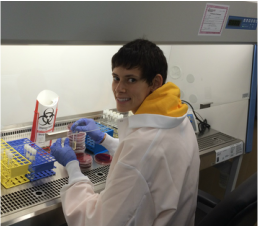 Awards: ASM student travel grant recipient. 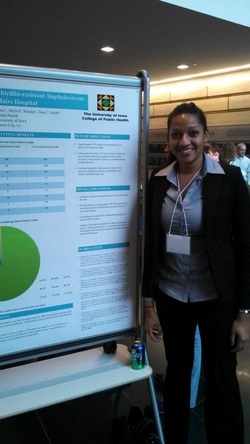 Andrea Holcombe, MPH student. 2011. Currently a PhD student in Epidemiology at the University of Iowa. Jacob Simmering, MS student. 2010-11. Currently a PhD student in Pharmaceutical Socioeconomics at the University of Iowa. 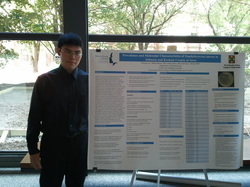 Jeffrey Hong, high school student (SSTP program). Summer 2011. 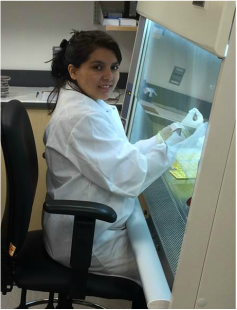 Vivian Ortiz-Baez, undergraduate (SROP/McNair program). Summer 2011. 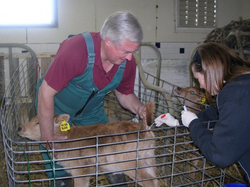 Kerry Leedom Larson, DVM, MPH. PhD student. 2008-10. Currently a post-doctoral fellow at the Center for Food Security and Public Health at Iowa State University. 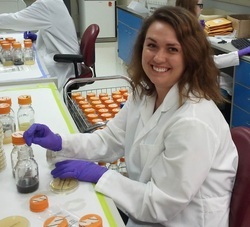 Erin Moritz, PhD student. 2006-10. Currently employed as a Scientist with the American Red Cross. Anne Dressler, MS student. 2009-10. Currently a PhD candidate in Microbiology at the University of Iowa. 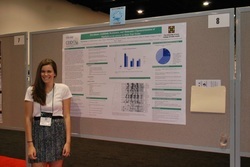 Awards: ASM student travel grant recipient; outstanding student poster nominee. Abby Harper Maples, MPH student. 2008-2010. 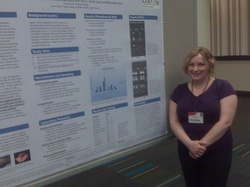 Awards: ASM student travel grant recipient; Iowa Delta Omega Faculty Review Committee selection. Lisa Roberts, medical student. Summer 2008. Megan Flynn, high school student (SSTP program). Summer 2009. Sheila Berrios, undergraduate. Intern via SROP/McNair program. Summer 2009. Phil Scheibel, undergraduate. 2008-9. Finished Master's in Zoology at University of Southern Illinois. 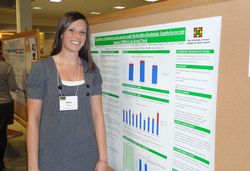 Awards: ASM student travel grant recipient; Best Poster, University of Iowa undergraduate research symposium. Courtney Smith, undergraduate. Summer 2006. Brady Miller, undergraduate. Summer 2006. Alpha Opese, MPH student, 2011-12. Samuel Stew, MS student. Intern, summer 2012.